If you have any questions or concerns regarding lift station pumps in Lakeland, FL, don’t hesitate to contact us at Southeastern Septic LLC. What is a lift station pump? A lift station pump is a device used to pump and lift wastewater from a low elevation to a high elevation. Is there more than one type of lift station pump? Yes! The two most common types of lift station pumps include a submersible lift station pump and a dry-well lift station. Obviously, the submersible lift station pump includes a pump that can be submersed in water, whereas a dry-well has a pump that is kept adjacent and dry. What types of maintenance are required for a lift station pump? Lift station pumps require regular maintenance like any septic system. With continuous maintenance, you can prevent costly repairs. A lift station pump can last for 15-20 years when properly cared for, so they are worth the small effort of regular maintenance. 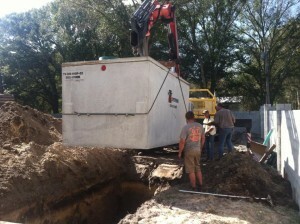 If you are located in Lakeland, Winter Haven, Bartow, Auburndale or the surrounding areas and have any questions or concerns regarding lift station pumps, don’t hesitate to contact us at Southeastern Septic LLC. We have over a decade of experience to help answer and solve your questions. 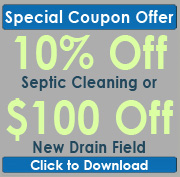 Contact us today and discover what sets us apart from other septic companies! We provide professional & reliable lift station pump services in Auburndale, Bartow, Zephyrhills, Lakeland, Mulberry, Polk City, Winter Haven, Polk County and Plant City!